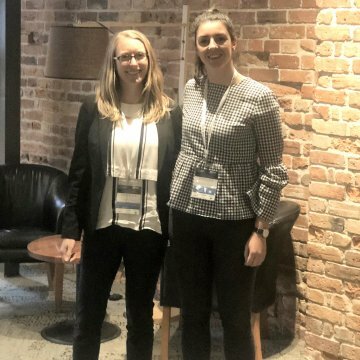 After months of preparation, compiling technical papers, having them peer reviewed and finally practicing a series of presentations on their chosen projects, Olivia Ellis-Garland, Zeb Patterson and Lauren Foote attended the 12th Young Geotechnical Professionals Conference which was held in Hobart, Tasmania (Australia) last week. The conference is held every two years, with the number of New Zealand and Australian attendees limited to 50 in total. This year, there were a record number of papers submitted, and ENGEO were lucky enough to have all three submissions accepted. 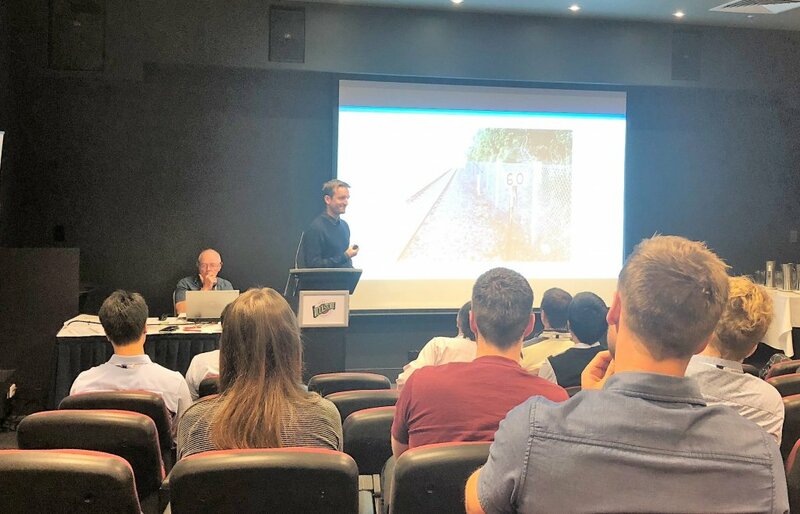 The conference is a unique experience for young geotechnical professionals to present on a topic of research or a case study in a supportive environment, with experienced mentors offering advice. All delegates are required to present, which created a really supportive environment within the conference networking opportunities. Olivia presented on “Issues with geotechnical investigations, design and construction in remote locations”. Zeb delivered his on the “Development of an early warning system for rainfall induced slope failure affecting railway in a post-earthquake setting” and Lauren’s presentation covered “Challenges in construction monitoring – adapting to unforeseen conditions: a case study in Riccarton, Christchurch, New Zealand”. They found the experience of presenting to be highly rewarding, built many new relationships from the networking opportunities and recommended the opportunity to other young Geotechnical professionals. 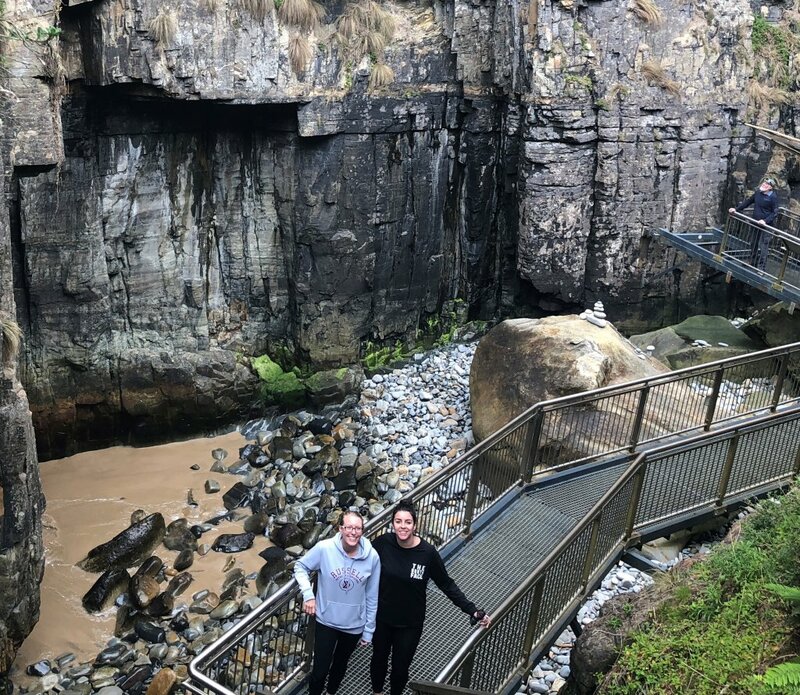 The conference included a geological field trip up kunanyi / Mt Wellington, looking at the geological processes that formed the mountain and the rockfall risk posed to the mountain users today. An excellent day out, it gave the attendees the opportunity to learn about processes that can be applied to future projects at home. If your under 35 and based in New Zealand or Australia, get your thinking caps on, as to what you can present at the next conference. Well done to Olivia, Zeb and Lauren for demonstrating your knowledge and presenting to a wide, international audience!